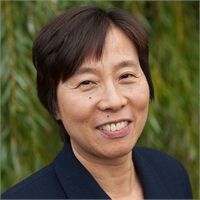 Originally born in China, Jean attended Osaka University in Japan where she graduated with both her bachelors and masters degrees in economics. After moving to the United States in 1989 Jean continued her education at Boston University. In 1995 she graduated from Boston University after obtaining her MBA with an emphasis in finance. Jean is fluent in Chinese, Japanese and English. Before joining Goodwin Financial as our primary research assistant; Jean also worked as a customer service representative, a dental office assistant and is currently a tax advisor at HR Block.